If you want to use Hotmail Messenger, you need to have an email account on Hotmail/MSN/live so that you are able to connect to Hotmail Messenger. To do this, you can use your existing email address, or make a new one. It is advised to create a new email address so that you can have access to the updated features of Windows Live Messenger. Some of the updated features are video and audio chatting. The first step is to download Windows Live Messenger on your personal computer or laptop. Once you are done with it, open Windows Live Messenger. On your log in screen, click the “sign up” link. If you have an email address on Hotmail then enter it, otherwise make an email address for Hotmail or Live. Now create a password. Make sure your password is six characters long. In addition, there should be a numeric digit in your password so that it cannot be easily guessed or hacked. You have to enter information including your first and last name, your country, date of birth, and gender etc. On the bottom of your page, you will see a picture. You need to type the code given in this picture. This is call 'capcha' and is used to discourage numerous fake IDs and spam. If the code written is not easily understandable for you, click “New”. In case you are still confused, you can click “Audio” for your understanding. After that, you will see an agreement. You will have to go through it carefully to understand MSN's Messenger's rules and regulations. Once you are done with reading, click “I accept”. This will enable you to finish the registration. 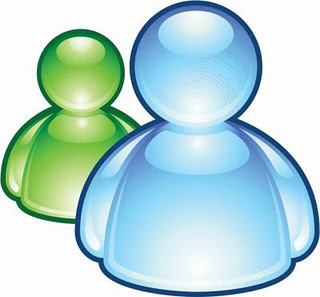 Now you can sign in to Windows Live Messenger with a new username and password.